This "Original Bit" is described by the company as their signature jerky, using a blend of Texas spices. The company says it, "...will leave a lasting impression on your taste pallet. A flavor the whole family can enjoy." The first flavors I taste are a smokiness and salt, along with a flavor reminiscent of soy sauce. 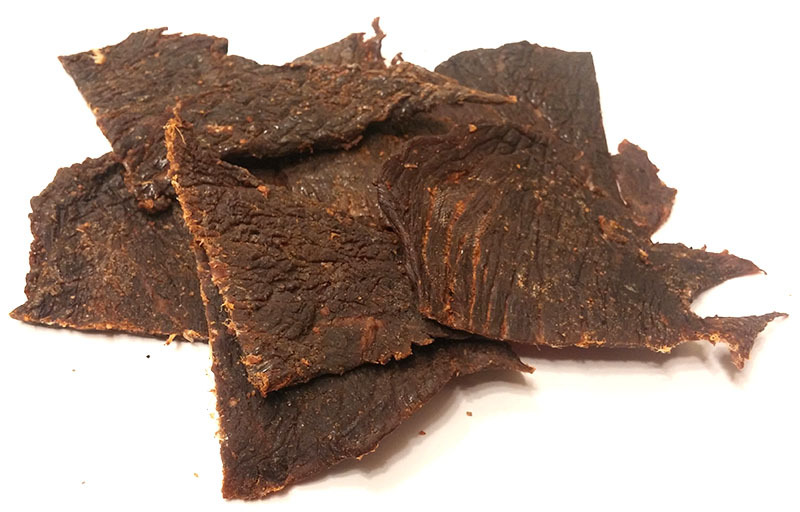 The chewing brings on a black pepper, along with hints of dill. There's also a light sour flavor, and another flavor that reminds me of beef wieners. For being described as the company's signature flavor, it's certainly a unique one. It's very complex, mostly salty, but definitely has a lot going on. It's spicy in that it's filled with spices, but not necessarily hot. It does, however, have some heat to it, enough to warrant a "mild medium" on my personal heat scale (level 2 out of 5). I'd describe the primary taste profile as smoky and salty, with a vinegar tang, and a black pepper & onion spice. But it also has a dill component that brings in thoughts of pickles, yet also a flavor of hot dog wieners. 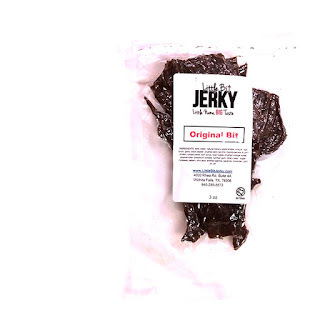 This Original Bit from Little Bit Jerky dishes out a complex flavor full of variety and spice. It comes off as salty, but there's a lot going on that it keeps me thinking throughout the chewing. It's actually a swash of Americana in the form of smoked beef, dill pickles, and hot dogs at a Texas county fair. There's nothing Asian, European, or African about this, it's classic red, white and blue in its old school best. 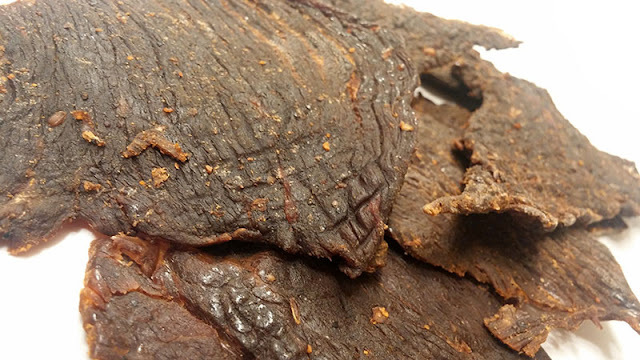 If you can get past the saltiness, it's a lot like what jerky used to be in the old days.